Metro Detroit business owners say they’re willing to pay more to fund the state’s crumbling roads, echoing polls of Michigan residents before Proposal 1 went down to defeat. Metro Detroit businesspeople say they would be willing to pay more out of their own pockets to repair Michigan’s failing roads and bridges, both in the form of higher taxes and fees — and nearly half of them would even consider corporate income tax changes. The roads, they agree, are broken. What they don’t agree on is just what Plan B for roads should look like. Of the 300 business owners and managers surveyed in a poll commissioned by Crain’s Detroit Business and law firm Honigman Miller Schwartz and Cohn LLP, a majority, 56 percent, said some combination of fuel tax and fees could fill the funding gap. The polling was conducted by Lansing-based Epic-MRA. Respondents said lawmakers and Gov. Rick Snyder must make reaching a deal on an alternative funding plan a priority in the wake of Proposal 1’s defeat this month. These respondents to the Crain’s poll said coming up with Plan B quickly is essential. But they nearly uniformly opposed cuts to some existing state programs to match the $1.2 billion that Proposal 1 would have generated. Sales or fuel tax hikes are the most popular picks when quizzed about funding sources; only 31 percent supported finding the road money via cuts to the existing state budget. About 300 respondents in a recent survey by Crain’s Detroit Business and the law firm Honigman Miller Schwartz and Cohn LLP said they would not support major state budget cuts to pay for improving Michigan’s crumbling roads and bridges — especially when schools or human services spending were potentially on the chopping block. Fewer than half of undecided respondents — and the 31 percent who initially recommended budget cuts to fund roads — supported cutting from higher education, public schools, local governments and health care. The idea of cuts to universities and community colleges earned the most support — 44 percent — but failed to achieve a majority. Twenty-six percent of respondents supported cutting revenue sharing to cities and townships that fund police and fire protection. Fifteen percent favored cuts to health care for the poor and 14 percent cuts to K-12 education. Debate over the roads issue has reached a fever pitch with many business owners and civic leaders — enough to push forward the introduction of new legislation last week from Republican lawmakers. Dennis Nordmoe, executive director of Detroit-based nonprofit Urban Neighborhood Initiatives, and one of those surveyed, said he thought Proposal 1 was a “terrible proposal” but voted for it anyway because he wanted to support investment for roads. He said he would prefer to pay higher fuel taxes before a higher sales tax, due to Michigan’s growing income disparity. But Bob Munoz, general manager for Madison Heights-based mail presort firm Zip Mail Services Inc., said a sales tax increase would allow the state’s growing number of out-of-state tourists to help foot the bill for roads they also use. Higher fuel taxes could also be part of the answer, he said. But overall, he’s worried that drawing on existing state spending would not generate the amount of needed road dollars without raiding government services. Businesspeople are raising their hands to pay taxes? Yes, that’s how important the issue has become to many of those surveyed, and the state is paying attention. 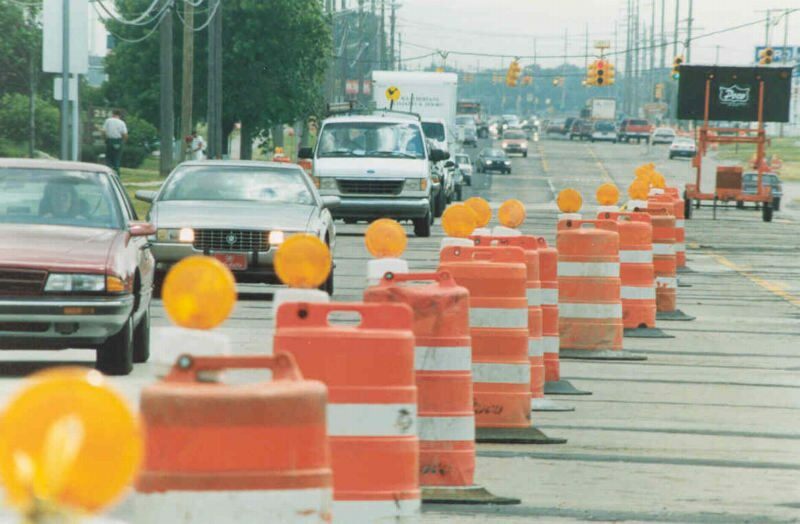 “It’s a good sign that the public recognizes that we need to invest more in our foundation,” said Jeff Cranson, Michigan Department of Transportation spokesman. The state this year expects to spend $1 billion on road construction and $300 million on maintenance, a figure that includes patching, shoulder repairs and snow removal, MDOT said. Proposal 1 would have raised more than $1.2 billion by raising the state sales tax from 6 percent to 7 percent and removing it from fuel sales while also boosting the gasoline tax. But 80 percent of statewide voters turned it down, in part because of its complexity. Business owners surveyed were nearly split on whether to expand the state’s 6 percent corporate income tax to an estimated 100,000 companies not considered C corporations that currently are exempt from paying it. Forty-seven percent of respondents favored the idea, while 45 percent were opposed. “I was a little bit surprised, too, at the willingness of Crain’s subscribers to even entertain the notion of an expansion of the base of the existing business tax,” said John Cavanagh, a co-founder of Epic-MRA. Sentiment supporting tax hikes appears to counter the idea behind a new proposal from Republican lawmakers that would rely heavily on existing revenue, mostly from economic development, to pay for infrastructure. House Speaker Kevin Cotter, R-Mount Pleasant, last week introduced a proposal that would raise more than $1 billion by 2019 in part through expected state revenue growth. The plan would raise the tax on diesel fuel from 15 cents to 19 cents, the same as regular fuel, and charge fees to drivers of hybrid and electric vehicles. But Cotter’s plan also would eliminate the state’s Earned Income Tax Credit for low-income workers and divert money from economic development programs, including the 21st Century Jobs Fund, tribal casino funds and film incentives. In an interview with Crain’s last week, Snyder withheld comment on the specifics of Cotter’s proposal, saying only that he looks forward to working with the Legislature on a new plan. “My first plan was a combination of user fees and registration fees. There is a way to work through this,” he said. Whatever is decided on funding, the state needs to take more accountability on road projects to make sure the work is done well the first time, said Kim Maul, CFO for Kulbacki Inc. The Clinton Township-based construction firm builds schools, churches and retail centers, among other buildings. Concrete and asphalt costs are difficult to guarantee, Maul said. She supports finding road dollars in the current budget, although not from public schools, higher education or health care for the poor as asked in the survey questions. But, she said, she strongly opposes raising sales or fuel taxes, saying doing so would crunch a class of workers whose wages are not keeping up with cost-of-living increases. Business doesn't pay any tax or the cost of regulation. It is the cost of doing business and therefore overhead. That is reflected in the price of their goods and/or services provided. They can't absorb much and stay in business. Businesses advocating increased business tax are disingenuous. Their consumers pay that cost. Adding cost to any business overhead creates inflationary increases. Didn't we just go through a long period of business leaving the state and then great effort being made and cost to entice some back and new to arrive? Most business operates on a thin margin that is carefully watched and adjusted. Isn't it business that creates and maintains employment? Why is Michigan reinventing the wheel? We really aren't that special when it comes to roads etc. How about the many other states that have great roads and fund it? How do they manage it? Perhaps even a few simple phone calls would be enlightening. This state is burgeoning with costs for programs and policies that aren't effective and can be addressed for funding roads. Of course, that would take fortitude. No matter the proposal there will be someone or some group crying foul. However, the driving public is a great majority. AMEN!!! BUSINESSES DON'T PAY TAXES,....PERIOD!!! businesses are always for higher taxes, as long as they don't have to pay them. Sales tax, gas tax, etc are all paid by residents, not businesses. And what businesses advocated expanding the business tax to include LLCs, S corps, etc? I'd like to know that, and I'll bet it was mostly C corps who already pay the tax. Good project for an Econ grad student. I'm all for busines paying higher taxes and fees to fix the roads. I don't care if they pass the costr along to consumers. At least that way I have a choice if I want to pay the tax or not. If I don't, I don't patronize the business. When they don't pay higher taxes and fees then, assuredly, I will. You are wrong about business creating and maintaining jobs, It is consumers who create the demand for the business' good or service thattruely creates jobs. Economics 101. History is full of business that failed because there wasn't a big enough demand for their product. In fact most business fail within the 1st year primarily due to that fact. Just to be clear: My highly intellectual response was meant for the banalities of brokngovt. Amen to the insight that businesses do not pay taxes, they merely collect and pass them on. http://www.youtube.com/watch?v=FYc9r8vnunM And "polls" are now in bad repute after the 15-1 and UK election fiascos. One would think that Bridgimi which touts itself as neutral and fact based would take the posture of avoiding using hearsay from construction contractors and civil engineers to bolster the biases it held before the 5 May vote. If businesses don't pay taxes, why do they even care what the business tax rate. That they care tells you this old saw is simply wrong, like so many things that are repeated over and over. Businesses do pay taxes...and they tend to be paid for not by raising prices, but by cutting the earnings of the owners. Excellent point, David--I think. Maybe I'm saying that only because I wholeheartedly agree with it. I could just as easily say, "Every dollar I pay--on taxes, goods, or services--comes from the wages paid to me by my employer. Therefore, I don't pay any taxes--my employer pays them all", thereby reducing the question to a "chicken-or-the-egg" debate. I know that often, when my business tax rates rose in the past, my net income declined. It's a myth that everyone can "just pass on the cost (of higher taxes) to the customer." I'd debate your phrase that government inspects the roads. Yes, they may have people on site, but do they run a slump test on every load of concrete (ans. no), do they measure the placement of all the re-rod (ans. no), do they inspect every square inch for proper curing (ans. no), in short, the builder is responsible for most of the inspections. Do you know what they'd save by using 5.5 bag mix instead of 6 bag mix? How about the capacity if the re-rod is 1" higher than spec? In short, they builder needs incentive to do it right, and that is called warranty. Rich, They don't have to do all, they only have to verify a statically valid number of each activity. There are standard statisical methods being use for decades. It was one the key tools that Dr. Deming taught the Japanese that changed their quality of products [many numbering in the millions produced] and services, and used by the U.S. Department of the Census and the Bureau of Labor Statistics, and used by US companies even here in Michigan. The issue is whether the purpose is to spend money or ensure quality. Private companies have the same issues as MDOT, the only difference is they are held accountable [by the State that no one is holding accountable]. As for the slump testing, the cement plant will draw those to certify each batch, a retained sample can be tested [by a testing lab] from the certified samples to verify standards. I would expect all of that is included in the construction contract, much like companies building production plants do. As for the warrantee, my understanding is that their is a time limit on them and MDOT has a history of not acting in the time restriction. To the commenter "Man". Your quote; "I’m all for busines paying higher taxes and fees to fix the roads. I don’t care if they pass the costr along to consumers. At least that way I have a choice if I want to pay the tax or not. If I don’t, I don’t patronize the business. When they don’t pay higher taxes and fees then, assuredly, I will." If only it was as simple as your assertion. The state can't levy any tax for anything just on some businesses. It's equally all or none. So, if the increased tax is across the board then where will you have a choice to shop? It will be in every business. Shop in Ohio only? MDOT plans, designs, engineers, takes in and approves bids for all that. Then they have testing and field inspections for everything, including the stone, sand or gravel used. They set the standards for everything used and done. Even when Counties bid out work it must meet MDOT standards always. Perhaps the issue is who the standards come from and how it's all done? A long look at MDOT history doesn't leave me with trust and confidence to date. There is a plan on privatizing MDOT. I spent some time in Switzerland. A country with winters equal or worse than Michigan and mountains to deal with. Main roads were 24" thick concrete with excellent drainage and massive steel. Very expensive; except it last for nearly a lifetime. When the surface gets bad they scarify it down an inch and create new again. The weight limits on trucks in Michigan is a major culprit. Only here are trucks with 8 axle trailers. They can't cross the borders to Illinois, Indiana or Ohio. Closing all the state's 'weigh stations' assures overloading daily. I still assert half of the road issue we face is from how funds are spent not the amounts. Add in transportation money that is not used for roads and bridges. It's a lot and benefits only the few. We all know the first proposal was voted down for road repairs so now I suggest that we teach the people from our fine state how the monies are allotted to each county to fix these roads before we vote again. Many times during the road campaign before it was voted on, I heard over and over from people up north who said why should we vote "yes" to have our taxes raised when "all" the money will be spent on the roads down state or you know where the money will go. I know this isn't true, but you'd be surprised how many people don't know this one little fact. I hope you will enlighten them. In my opinion unless there's a campaign to educate the people about the whole road deal and not just the cost it will just be another failure until the people learn the facts.